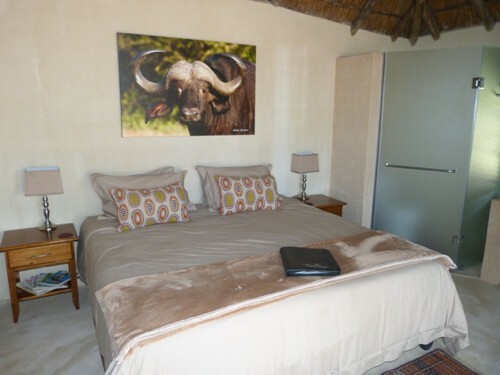 Tshikwalo Game Lodge is situated inside theDinokeng Game Reserve, which is the first free-roaming Big-5 residential game reserve in Gauteng, in a malaria-free area.Tshikwalo is only a 30 minute drive north of Pretoria and a 60 minute drive from O.R. Tambo International Airport and Johannesburg. 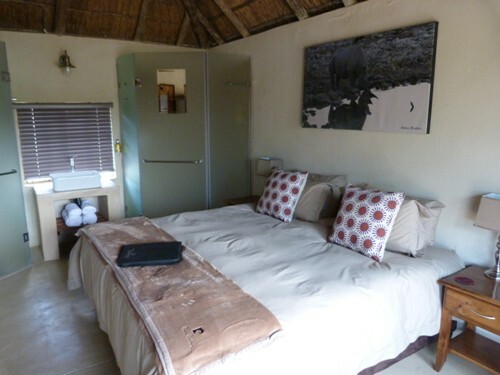 Accommodation at Tshikwalo is perfectly suited for families and groups, wanting to get out of the city and enjoy a true ‘African’ adventure. 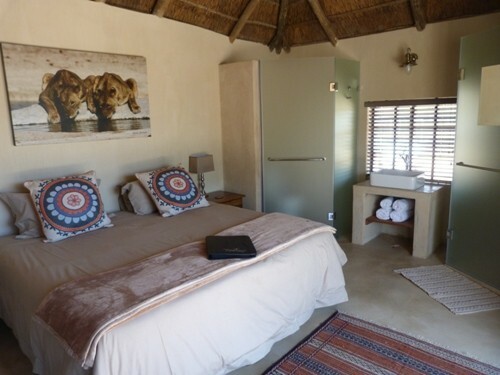 Our 5 x en-suite and semi-self-catering 2-sleeper chalets offer a private stoep and braai : each chalet overlooks the bush. The en-suite ladies and gents dorms offer 7 x bunk-beds each (sleeping 14). 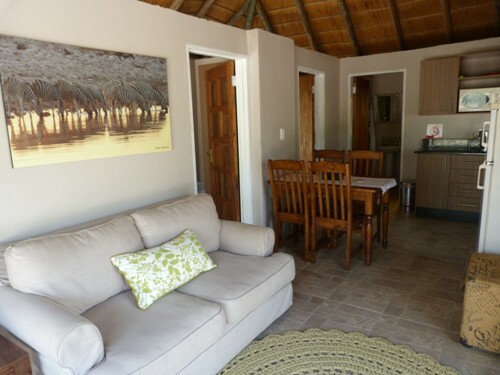 The fully fitted kitchen / dining hall, with a separate conference or games room, makes it an idea venue for groups of up to 38, and is idea for conferences, weddings, family gatherings and birthdays, school groups, church groups and year end functions. 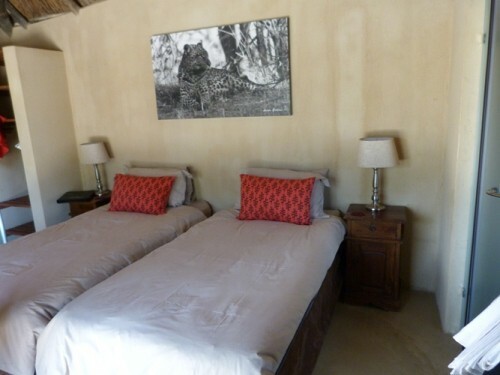 The central boma and pool complete the facilities. 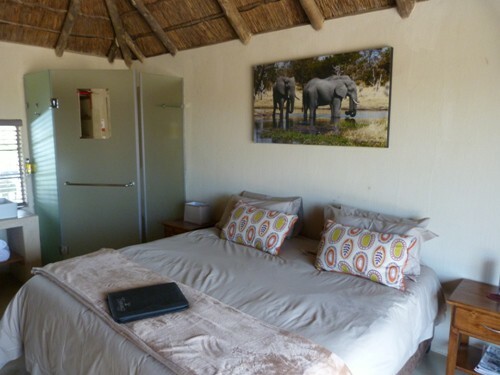 Water and electrical points to share offer 12 campsites with ablution and dish-wash facilities.